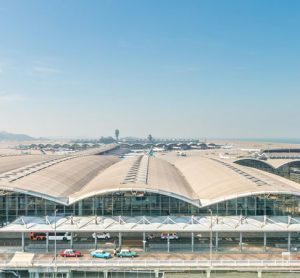 How does the new airport meet the requirements for airport capacity in Istanbul in terms of landside commercial development? Istanbul Airport offers a wide variety of commercial elements as part of the landside development. It is quite a known fact that landside commercial offers are as important as airside for our customers. This is especially key for our 1.4 million square metre terminal building. As part of our landside portfolio, we have not only essential retail, shops and food and beverage outlets for our passengers but also an in-terminal hotel, operated by Yotel with a 270 bed capacity landside (181 on airside) and a plaza area between the car park and terminal building with commercial elements. It is also important to note that as part of the airport’s commercial and social development, we have special areas reserved for the Airport City development. One critical element of this is located in front of our terminal building, with high connectivity of public transportation. This development will also be part of the long-term landside commercial development; not just for our airport, but for the region and for Istanbul. How has the design team successfully responded to the challenge of expected capacity operations? 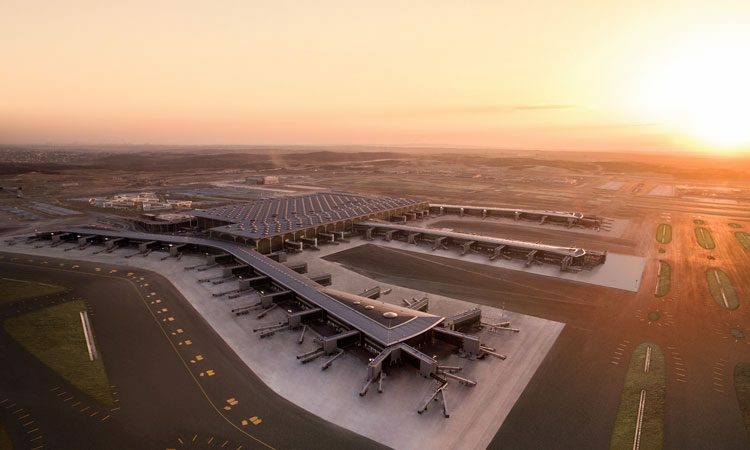 The main reason behind the development of Istanbul Airport was due to the insufficient capacity of Atatürk Airport compared to the continuously growing demand. 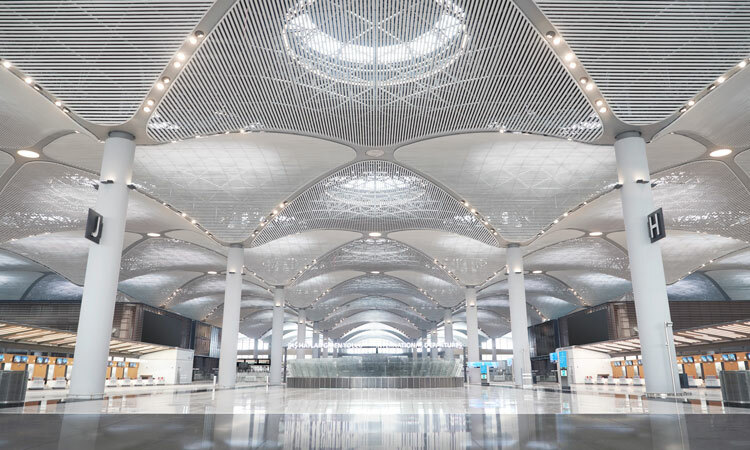 This is why the design teams of Istanbul Airport, beginning from the masterplan stage incorporated a design approach which answers not only the current demand but also the expected future demand. Based on this approach, the infrastructure and critical core elements especially (such as BHS sorting capacity, runway/taxiway/apron capacity, passenger operational areas such as check-in, passport control, etc.) are designed for higher capacities and a higher level of service requirements. 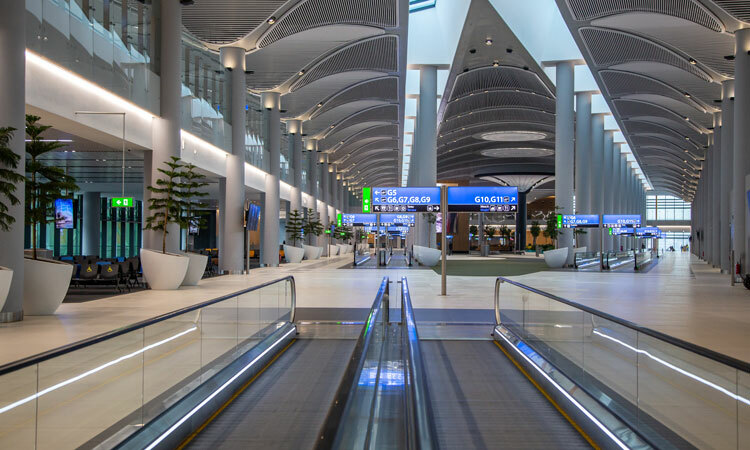 In addition to this, for a seamless passenger journey, the design of the airport creates intuitive wayfinding, as the building itself, along with architectural and functional elements, enables the passenger to understand where they are and effortlessly directs them on where to go. Operationally it is critical to organise processes in a way that allows easy navigation. We believe that the main terminal will be an architectural gem and a highlight in terms of passenger experience. It will provide a flexible core in responding to the growing demand of Turkish and international aviation in Istanbul. Can you give us an overview as to what the passenger can expect from the new terminal? The new terminal is the biggest terminal building under one roof, measuring 1.4 million square metres. 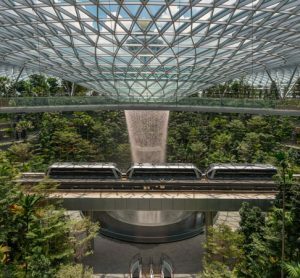 Although it is intimidating in size, the architectural and functional elements of the terminal building are designed to provide an intuitive and seamless passenger journey. While using the latest technology for passenger comfort, our design offers beautiful and pleasant spaces, views, materials and details. 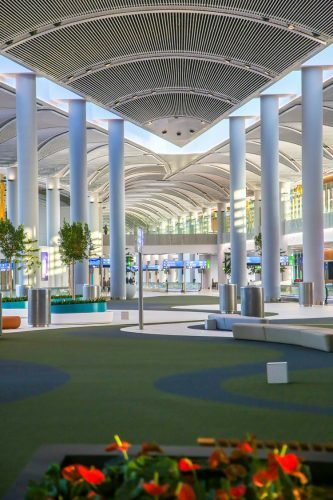 The airport aims to capture the unique spirit and character of Istanbul whilst being a modern and functional airport of the highest international standards. In addition, the size of the terminal allows us to offer a wide variety of services for the comfort of our passengers. 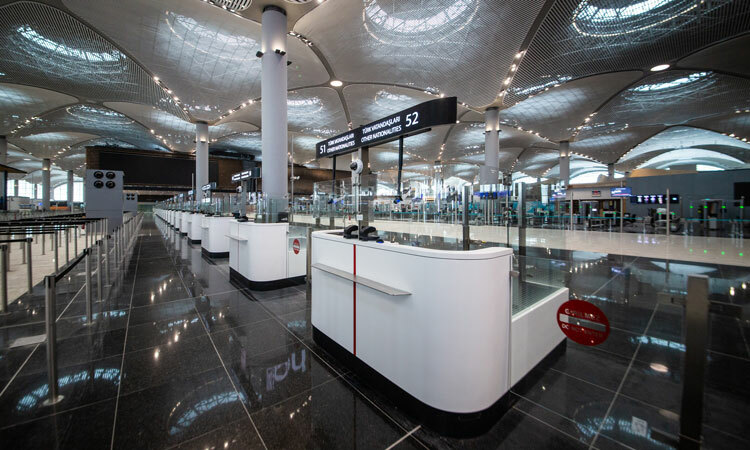 To give just a few examples, as part of our IT solutions our passengers can experience a fast, reliable and efficient process from check-in to gate access via electronic check-in kiosks, bag drop facilities, security check via biometric passport checkpoints and electronic boarding card checks. Inside the terminal building, our passengers will find the world’s largest duty-free area with a diverse offering of retail, leisure and amenities including landside and airside hotels, lounges, and a spa and fitness centre, all with a distinctive Turkish identity. In addition, with the Istanbul Airport mobile application, our passengers will have access to all information regarding the airport, the status of flights and services offered, allowing them to better manage their time and providing guidance from their home to their gate. What specific technological solutions have been implemented to make sure that the terminal drives passenger experience? 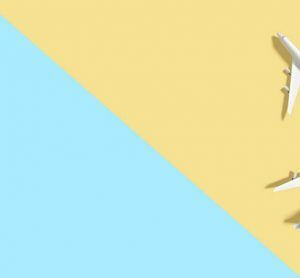 New technology will dramatically change the way we run airports and, in turn, fly. The airport of the future is much more passenger-focused. 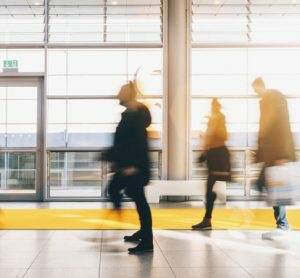 Passengers will check in quicker, and smart applications like advanced passport control and biometric screening will help to deliver a more efficient user experience. Safety and environmental standards will further increase; airports will be fully integrated in the transport network. 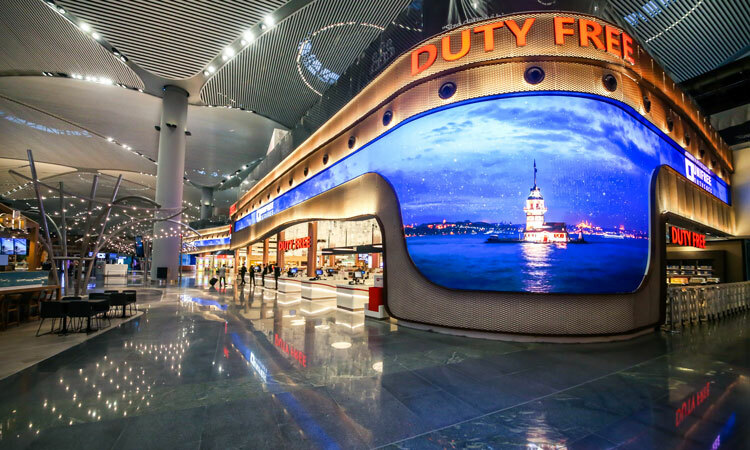 As already mentioned, we integrated many different technological solutions into Istanbul Airport. 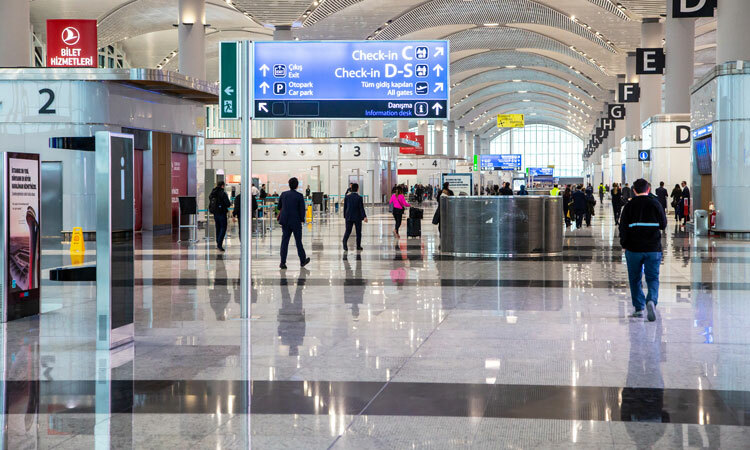 The latest beacon technology, located in different zones, will be used to improve passengers’ orientation and inform them with indoor directions, walking times to gates, lounge access and alerts about boarding. Thanks to a bag drop system, luggage can be checked in quickly and easily. Passengers weigh their bags and use their boarding pass at the self-bag-tag kiosk to generate a label for their bag. Have the first six months of passenger operations been what you expected? Since the opening in October 2018, we started with limited operations to be aware of possibilities for improvement. Right after the opening we were offering five flights per day; three national and two international. During this time, we realised that everything was running smoothly and we increased the number of flights per day accordingly. Now, we are very much looking forward to the Big Bang beginning which is due to start at the beginning of April to get the full operation of Istanbul Airport underway. Then, the airport will be ready to handle 90 million passengers per year. This capacity will be able to reach up to 200 million passengers once all phases of the development and construction are completed. 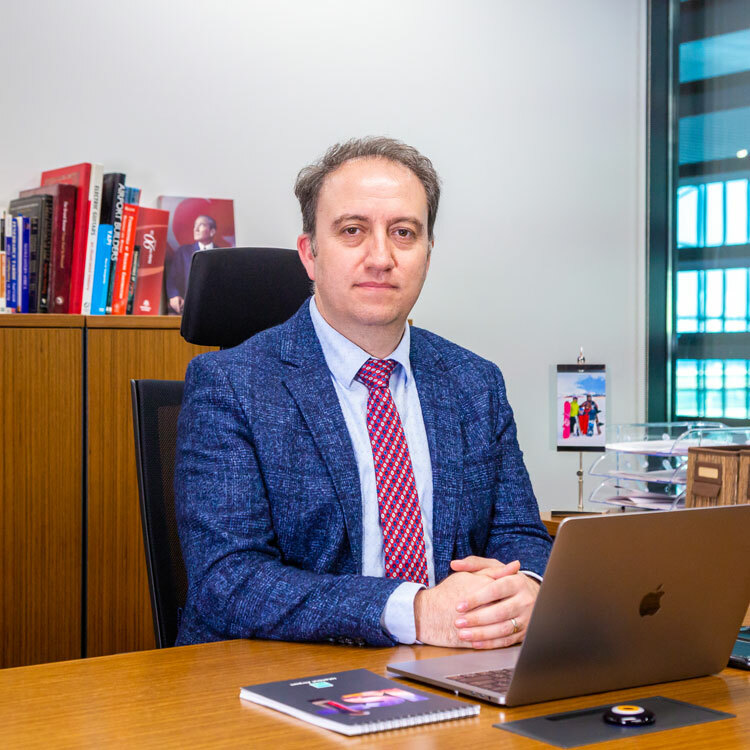 As Chief Planning Officer of IGA, the operator of the new Istanbul Airport, Ismail Polat has over 20 years design and construction experience in the aviation sector. Since 2013, as aviation advisor of the Cengiz Group, pilot shareholder of IGA, he is providing technical support for Group’s aviation projects. In addition to his advisory role, with his team, he has completed the airside design of the new Istanbul Airport with three parallel independent runways, Sabiha Gokcen Airport’s second parallel independent runway, and most recently managed the fast-track design-build project of Kuwait International Airport Terminal 4 in record-time of 21 months. Looks good but looks can be deceiving! Insufficient seating. Toilets upstairs were smelly, no toilet paper, & no water coming out of taps! Can make allowances for this being a new airport but please get your act together soon or excuses will be hollow.